William Shakespeare’s Twelfth Night is a comedy quite similar to his more famous play The Comedy of Errors. The Twelfth Night has twins, a boy (Sebastian) and a girl (Viola), who are separated when young. Viola dresses as a man, calls herself Cesario and befriends Orsino, who is in love with Olivia. But Olivia is in mourning for seven years, and wouldn’t accept any overtures for a relationship, or so she claims. Orsino sends Cesario to woo Olivia on his behalf, but Olivia falls for Cesario, who is actually Viola, and who has fallen for Orsino. After much confusion, the long-lost brother-sister twins meet, and Olivia realises that it’s Sebastian she loves; Orsino accepts Viola’s love. In the end, all’s well that ends well. The Hindi film industry has had a long and flourishing relationship with Shakespeare. It’s strange that no director has thought of turning Twelfth Night into a movie. But what cinema didn’t do, the theatre has. Although the Company Theatre’s Piya Bahrupiya claims to be a Hindi translation (as opposed to adaption) of Shakespeare’s Twelfth Night, it is performed as a nautanki, with the entire cast of characters also doubling as a vocalists and chorus, and the accompanying musicians (pump organ player and percussionist) occupying centre stage. Of course, what adds zest to the production, and, in fact, makes it entirely Indian in content and form is the frequent song-and-dance interludes that intersperse the narrative. These songs – inspired by the varied Indian folk traditions – transcend the play into a classic, and turn it into an unforgettable experience. Since it was first staged about six years ago, Piya Bahrupiya has gained critical and popular acclaim both in India and globally. Last evening, the Michael Young Theatre in Toronto’s charming Distillery District was the venue for Piya Bahrupiya; hearteningly, the theatre was packed to capacity, a mix of Canadians of Indian origin, as well as other ethnic groups. Why Not Theatre, in partnership with Soulpepper, brought Piya Bahrupiya to Toronto, as a unique way to celebrate Diwali, with victory “of poetry over propaganda, of optimism over pessimism and of love over hate”. The musical production tests the mettle of the actors not merely in the art of emoting, but also in singing, because a large chunk of the narrative is carried forward through songs. The actors deliver a rousing performance with quick-witted dialogues that use contemporary idioms to relate to the present-day audience who presumably don’t have the patience for Shakespearian language (which is an untested hypothesis, and needs to be contested, but let’s leave that for another time). It’s the mixture of the various forms of folk song traditions, including a zany qawwali sequence, and a rousing Ma Sherawali bhajan, that invigorates the narrative. The constant interactions with the audience also keep the proceedings lively and engaging. The actors are all superlative, both in the acting and singing, and it’s difficult to select who’s the best because even in those in minor roles perform brilliantly. However, a special mention must be made of Geetanjali Kulkarni (Viola/Cesario) and Mansi Multani (Olivia). Gitanjali’s Cesario is wounded, a prisoner of circumstances, and frantic in her search to profess her love for Orsino, without breaking Oliva’s heart. Mansi’s Olivia is nubile, incredibly alluring but utterly guileless. Piya Bahrupiya ran from October 27 to October 29. 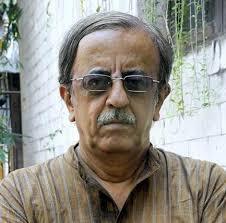 Tahir Gora is a multifaceted personality - he's a political activist who has constantly battled religious prejudices to uphold human rights; he's an outstanding author of prose and poetry, controversial but humane in his approach; he's a sharp journalist, one of the finest in the profession; and a great interviewer, who is able to bring out the best in his subject. In 2015, he invited me to launch a program on TAG TV that he and his wife Haleema Sadia have been operating for a couple of years. The internet-based television channel is a unique platform that provides avenues of expression for multicultural talent, a major lacuna in the Canadian mainstream media. During the last year, I have interviewed several authors, artists, musicians from a diverse ethnic background, who have made Canada their home, and continue to creatively express themselves in idioms that may at times seem strange to mainstream Canada, but nevertheless, have a definite place in the Canadian canon of art and literature. In this series, I also interviewed Tahir himself, when his novel Rang Mahal, written in Urdu, was published to critical acclaim (globally, wherever Urdu is read) and official opprobrium (in Pakistan). We discussed many aspects of creative writing in a social context. It is an interaction that lasted for nearly an hour, and I;m hopeful that the usually reticent Tahir will eventually put it up on YouTube, and other social media platforms of TAG TV. When he does, I'll add the video to the one below. Earlier in October, we chatted again. This time on Tahir's show Candid Talk. 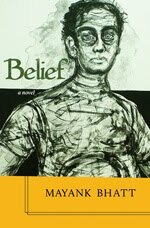 The focus was multiculturalism, and, of course, my novel Belief. Again, the conversation covered many aspects and I think both of us had a great time. It lasted for nearly 45 minutes, so, if you have the time, please see the video. 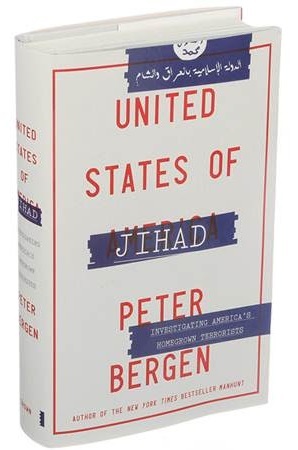 Peter Bergen’s ‘United States of Jihad: Investigating America’s Homegrown Terrorists’ extensively deals with the terrorist threats to the United States of America. It is a lucid and well-researched book. It talks of how jihadi groups and individuals have become active since the attack on World Trade Centre and Pentagon on September 9 2001. The numbers prove what he wants to convey. Since 9/11, more than three hundred Americans-born and raised in Minnesota, Alabama, New Jersey and elsewhere- have been indicted or convicted of terrorism charges. David Headley, an American was among those who planned the attack on Mumbai on November 26, 2008. The hard reality is Jihad was already waged in US much before 9/11. The World Trade Centre (WTC) was attacked for the first time in 1993. Six people died in the attack which was masterminded by Ramzi Yousef. He was trained in an al-Qaeda camp on the border of Afghanistan-Pakistan. At that time it was believed that militants would not attack US as often it served as a fund-raising base for various kinds of organizations. Following 9/11, it became amply clear that had FBI done a detailed investigation of Moussaoui, a French citizen of Moroccan origin, and plot could have been averted. Moussaoui was attending flight school in Minnesota in 2001. He had received funds from Ramzi Binalshibh. The author reveals the influence of Anwar al-Awalki’s, a US citizen, in the terrorist activities in the US. He was an online jihadi propagandist and then rose into a senior al-Qaeda operative in Yemen. Of the 330 Americans charged with or convicted of involvement in jihadist terrorist activity since the 9/11 attacks, more than 80 were found to have Awalki’s writings or sermons in their possession or cited him as an influence, and further seven had corresponded with him or travelled to Yemen to meet him. Awalki became popular among English-speaking radical Islamist. He was available to chat through his blog. Finally he was killed in a US drone strike in 2011. Some of the jihadist had gone to Yemen to meet Awalki. Michael Silber studied eleven jihadist plots that had taken place in Europe, Australia, Canada and US after 9/11 in order to identify similarities. The majority of conspirators in all these terrorist plots, surprisingly, came from secular backgrounds, and none was the product of a madrassa. They were also not hotheads and they had no traumatic experience in their life. He was of the opinion that homegrown militants with few or no connection to groups as al-Qaeda represented the future of the terrorist threat. Such self-radicalised individuals are always difficult to detect. It is comparatively easy to identify some militants connected with some militant groups as they communicate with each other and group. In cases of radicalized individuals, it becomes difficult as the person act on his own and do not consult others. Swati Pandey, a researcher at the New America Foundation and Bergen jointly examined the educational backgrounds of seventy-nine militants responsible for five worst terrorists attack in Western world. They found that more than half of the terrorists had attended college. These two studies expose the general impression that militants comes from poor and uneducated backgrounds. The author gives details of few self-radicalized militants. Couples of them were youngsters who converted to Islam not long ago. The book gives details of al-Qaeda, Islamic State, Somalia’s al-Shabaab, Yemen’s Al-Qaeda’s branch al-Qaeda in the Arabian Peninsula (AQAP). Readers of this part of the world will be surprised to know that no al-Qaeda affiliates have recruited more Americans than al-Shabaab. The story of Omar Hammami from Alabama is interesting. He became a leader of al-Shabaab and also became targets of the same brutal organization. He was a visible face of al-Shabaab to the English speaking world like jihadi propagandist Awlaki. In Somalia, disputes emerged within militants and it led to the killing of Omar. The details of David Coleman Headley’s are eye-opener. Headley is one of the masterminds of attacks on Mumba. Headley’s US passport and Caucasian look enabled him to plan the Mumbai attacks. Author analyses that little less than half of the 330 militants examined for the book either travelled to an overseas field of jihad or attempted to do so. South Asia was the most attractive destination, with about a third travelled to or attempted to travel to Afghanistan or Pakistan to get in touch with Taliban or Al-Qaeda; a fifth volunteered to fight in Somalia and another quarter were drawn to the Syrian war. He ends by saying US survived a terrible breach of national security on 9/11, but learnt from that and taken significant measures. These measures can ensure that such kind of major attacks is quite unlikely. But low-level threats will take many years before it ends. The book is important for media persons, researchers and to those who are interested in understanding growth of militant organizations. Bergen gave details of number of militants. It shows how militants recruit youngsters and train them to become suicide bombers. 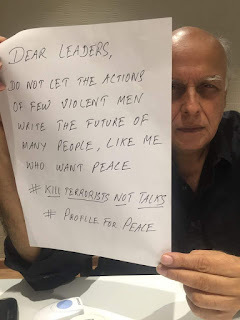 So, the leaders of India and Pakistan want to go to war. And the media in both countries is eager to turn the subcontinent into a warzone. This is so utterly stupid that it shouldn’t even merit a comment. But we live in a world where social media enables and empowers the propagation of xenophobia and jingoism, with unceasing calls to action to destroy the enemy across the border and ‘once and for all’ put an end to the evil designs of the neighbour who has never quite reconciled to its fate for the last seven decades. Trolls crawl out of dark crevices to unleash venom sometimes openly but often anonymously or through identity theft. Bellicosity becomes the norm and shrill name-calling replaces decent exchange of opinions. One’s own religion (and its adherents) gets equated with everything pure, and the other side’s religion with everything vile. Agnosticism and atheism belong to the netherworld and leave the religious confused, angry. Nationalism becomes non-negotiable, a zero-sum game. The dissenter, the contrarian is a pariah not merely to be shunned but to be banished. Sane voices pleading for peace are ignored, mocked, threatened and silenced. You don’t have the option of not belonging to a binary. Either you are with us or you are against us. Yes, everyone is disconcerted by the murder of Indian soldiers by militants. Yes, ultimately the categorization of good terrorist / bad terrorist is delusional. A terrorist has no ideology. But there can be legitimate differences on how to eliminate terrorism. And in a democracy do people not have the right to question violations of human rights of citizens (whether they are in Kashmir, Baluchistan, the North East regions of India, or in the jungles of Jharkhand and / or Chhatisgarh)? Why should those who raise these questions be termed traitors? Is the right to question the state not absolute in a democracy? Strangely, even after seven decades, Indo-Pak tensions nearly always results in the 150 million-strong Indian Muslim community on the defensive. This is because the wounds of Partition have never been allowed to heal in India, and the Indian Muslims continue to be held responsible for Jinnah’s zeal. Whatever the present government may say, the Indian Muslim is undoubtedly feeling cornered, and is expected to continuously pledge her support to the Indian state after every random terrorist attack. On the other hand, the Indian state doesn’t deem it necessary to initiate any action against the perpetrators of violence against the Indian Muslim community for imagined hurts. October 2 2016, is Mahatma Gandhi’s 147th Jayanti. It would be worth recalling his message to both the communities. If the Hindu and Muslim communities could be united in one bond of mutual friendship, and if each could act towards the other even as children of the same mother, it would be a consummation devoutly to be wished. But before this unity becomes a reality, both the communities will have to give up a good deal, and will have to make radical changes in ideas held heretofore. Members of one community when talking about those of the other at times indulge in terms so vulgar that they but exacerbate the relations between the two. In Hindu society we do not hesitate to indulge in unbecoming language when talking of the Mahomedans and vice versa. Many believe that an ingrained and ineradicable animosity exists between the Hindus and Mahomedans. In many places we see that each community harbours distrust against the other. Each fears the other. It is an undoubted fact that this anomalous and wretched state of things is improving by the day…But the object of taking a vow is speedily to bring about, by the power of self-denial, a state of things which can only be expected to come in the fullness of time. How is this possible? Meetings should be called of Hindus – I mean the orthodox Hindus – where this question should be seriously considered. The standing complaint of the Hindus against the Mussulmans is that the latter are beef-eaters and that they purposely sacrifice cows on the Bakr-i-id day. 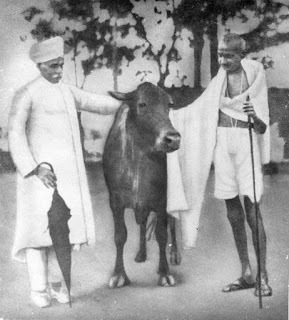 Now it is impossible to unite the Hindus and Mahomedans so long as the Hindus do not hesitate to kill their Mahomedans brethren in order to protect a cow. For I think it is futile to expect that our violence will ever compel the Mahomedans to refrain from cow-slaughter. I do not believe the efforts of our cow-protection societies have availed in the least to lessen the number of cows killed every day. I have had no reason to believe so. I believe myself to be an orthodox Hindu and it is my conviction that no one who scrupulously practices the Hindu religion may kill a cow-killer to protect a cow. There is one and only one means open to a Hindu to protect a cow and that is that he should offer himself as a sacrifice if he cannot stand its slaughter. Even if a very few enlightened Hindus thus sacrificed themselves, I have no doubt that our Mussulman brethren would abandon cow-slaughter…if I want my brother to redress a grievance, I must do so by talking upon my head a certain amount of sacrifice and not by inflicting injury on him. I may not demand it as of right. My only right against my brother is that I can offer myself as a sacrifice. It is only when the Hindus are inspired with a feeling of pure love of this type that Hindu-Muslim unity can be expected. As with the Hindus, so with the Mussulmans. The leader among the latter should meet together and consider their duty towards the Hindus. When both are inspired by a spirit of sacrifice, when both try to do their duty towards one another instead of pressing their rights, then and then only would the long-standing differences between the two communities cease. With Go as witness we Hindus and Mahomedans declare that we shall behave towards one another as children of the same parents, that we shall have no differences, that the sorrows of each shall be the sorrows of the other and that each shall help the other in removing them. We shall respect each other’s religion and religious feelings and shall not stand in the way of our respective religious practices. We shall always refrain from violence to each other in the name of religion.